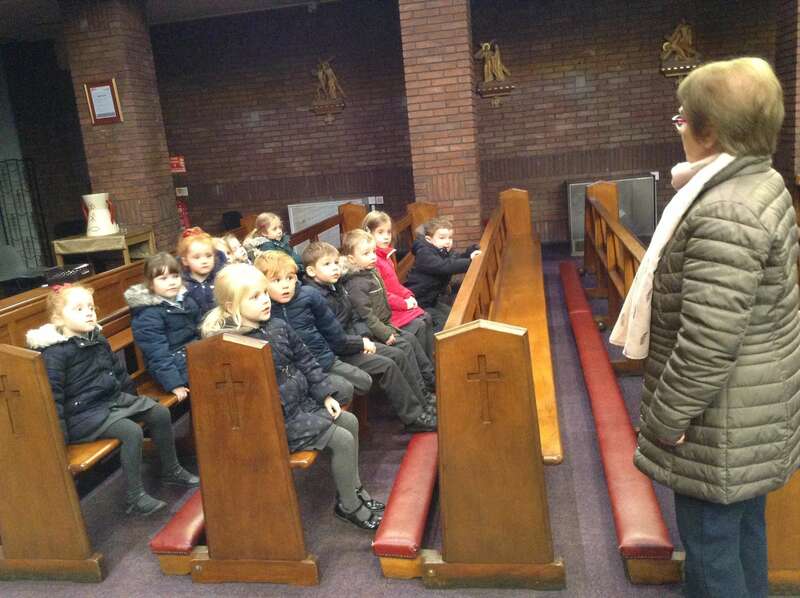 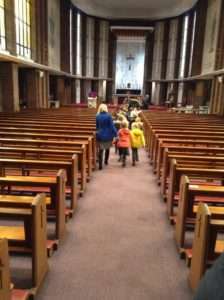 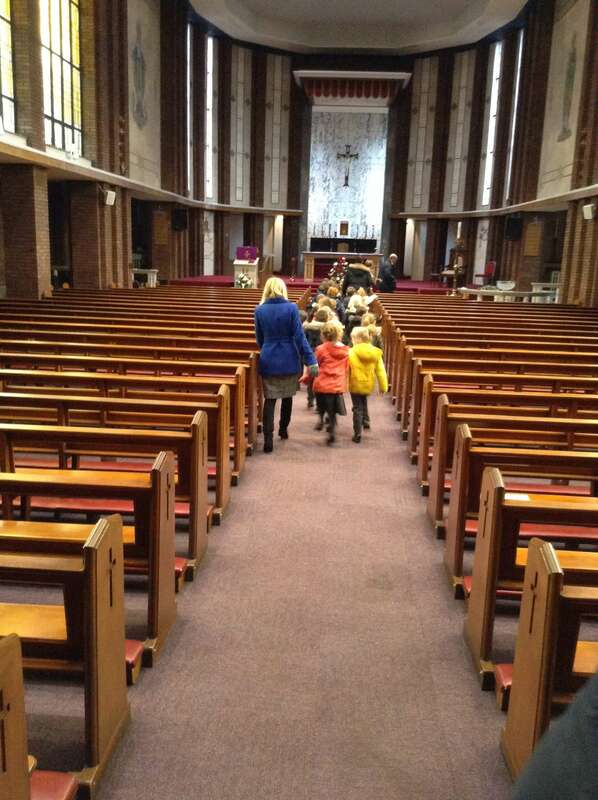 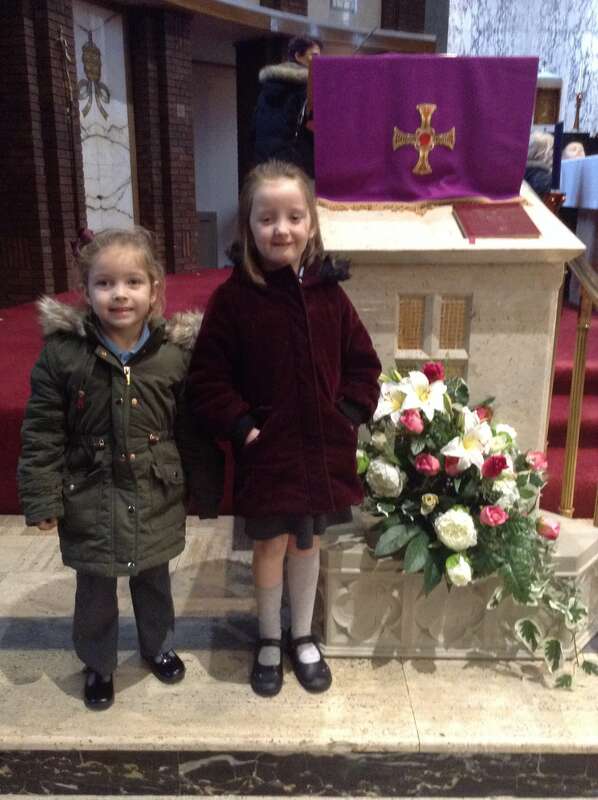 Linked to our Religious topics of ‘Celebrating’ and ‘Gathering’ this term, the Reception children enjoyed a visit to St. Columba’s church. 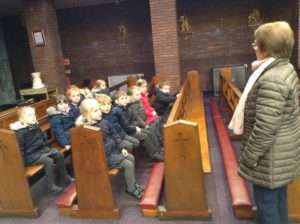 Two of our parish members Mrs Dodds and Mr Finlay helped us on our visit. 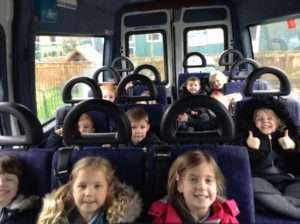 Mr Finlay drove the children to the church in the minibus. 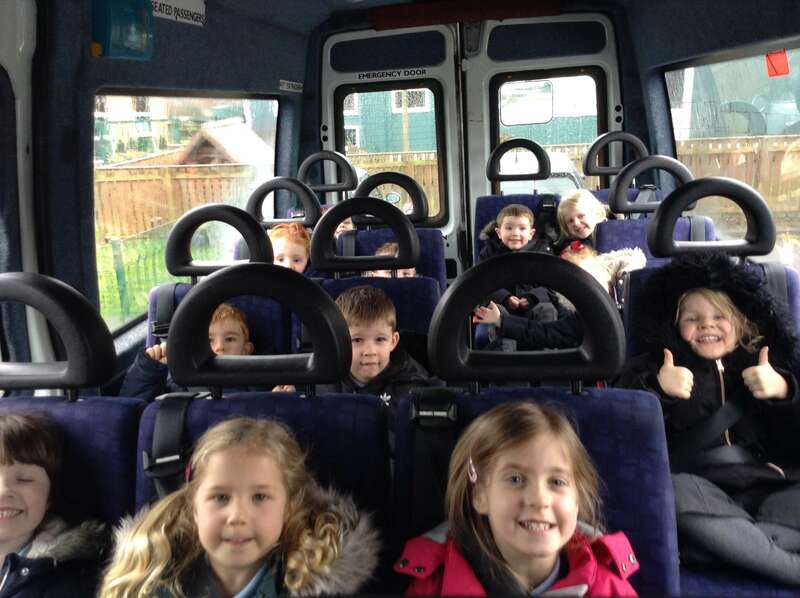 There was great excitement getting out of school and having a ride on the minibus! 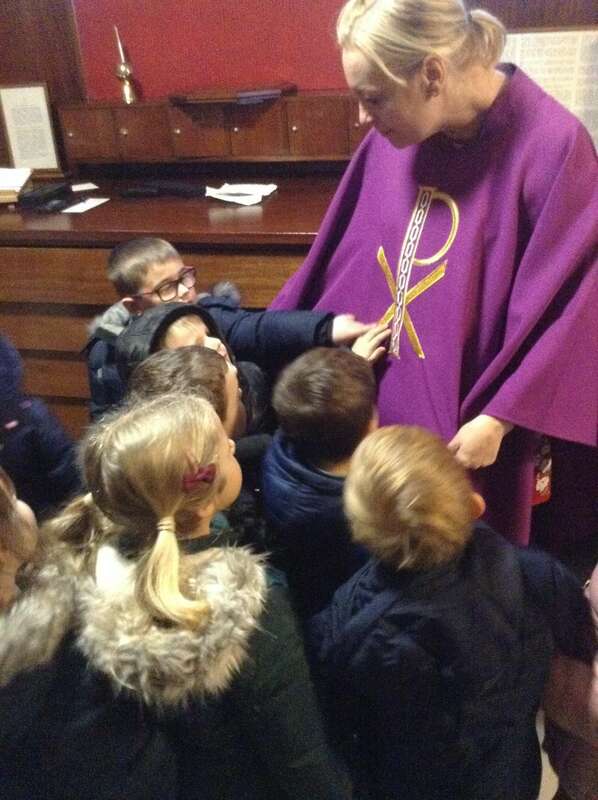 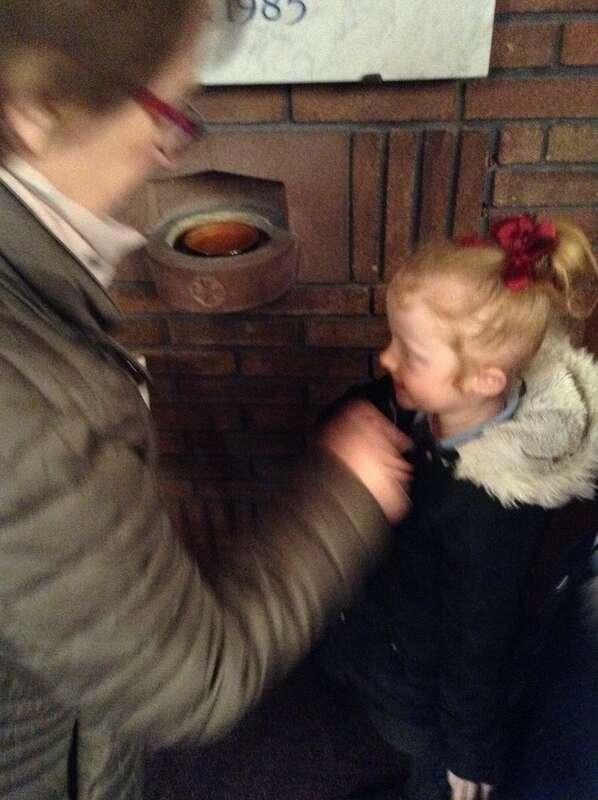 Mrs Dodds helped the children bless themselves when they arrived and entered into the church. 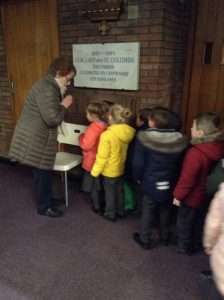 Mrs Dodds spent time chatting with the children. She showed them around the church and pointed out many main features. 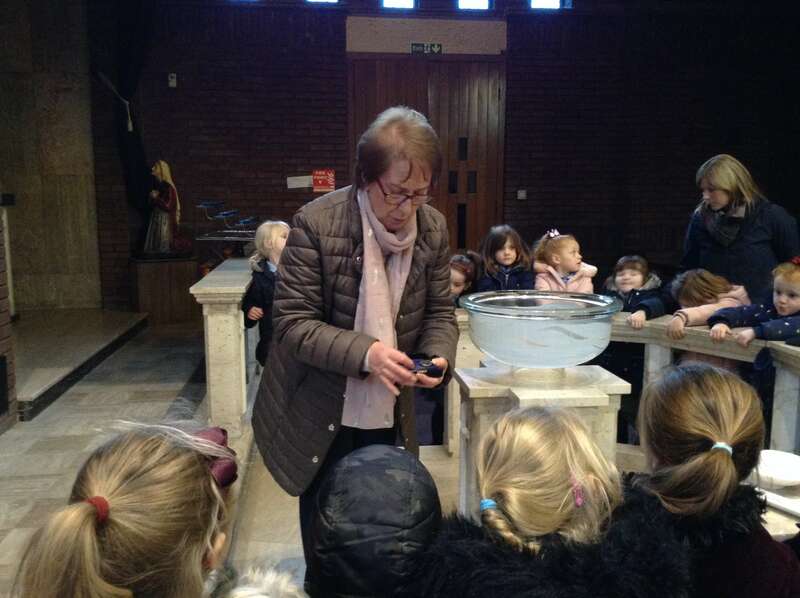 They looked at the Baptismal Font where many of our children would have been baptised. 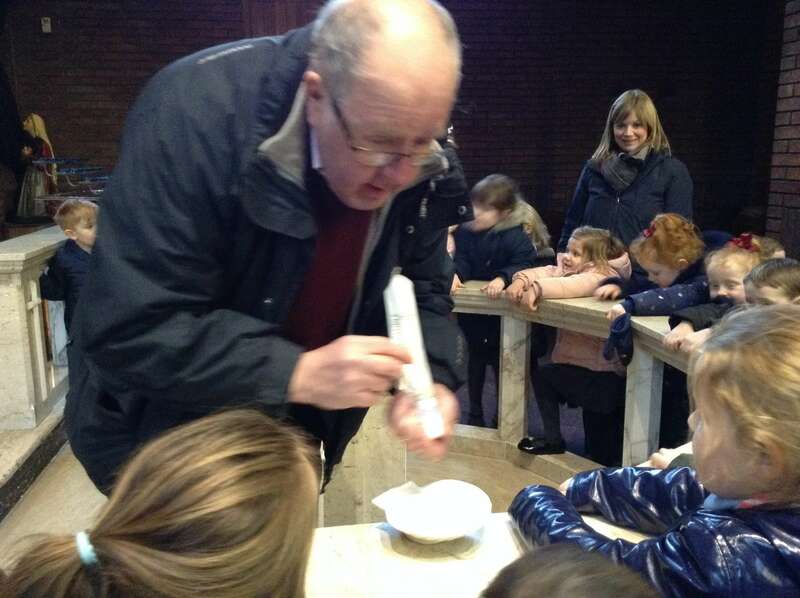 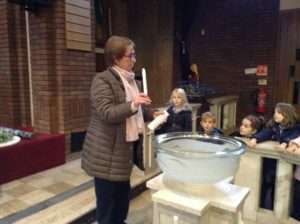 Mrs Dodds and Mr Finlay showed us a baptismal candle, some special oils and a precious shell that the priest uses to pour the water on the head of the person being baptised. 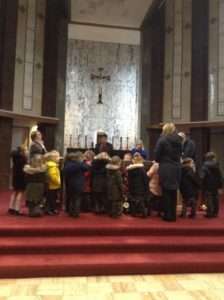 The children had a walk around the altar and found the lectern where the priest often stands to speak to the congregation. 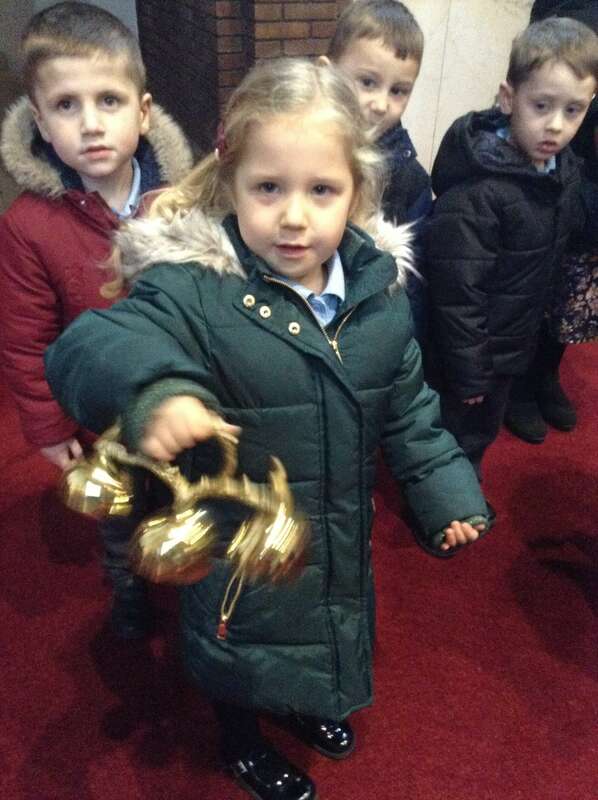 The children enjoyed ringing the church bells! 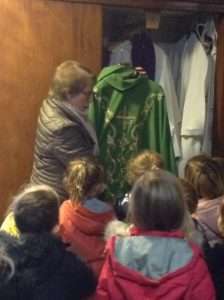 Mrs Dodds showed us the priest’s vestments and talked about how they wear different colours at different points in the year. 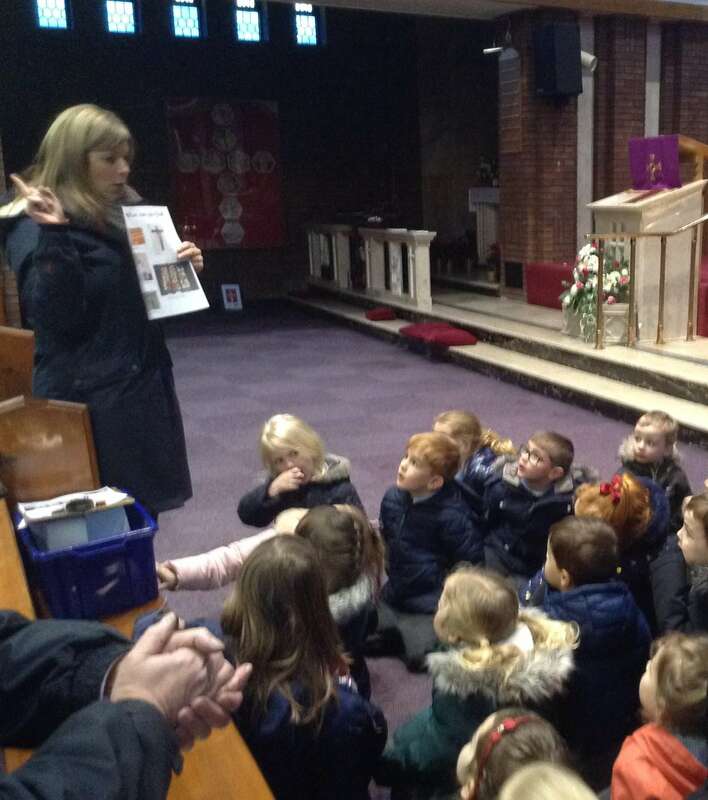 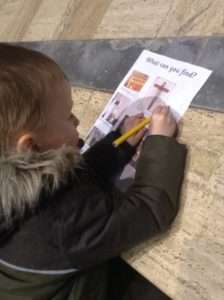 The children really enjoyed their visit and found lots of things in the church. 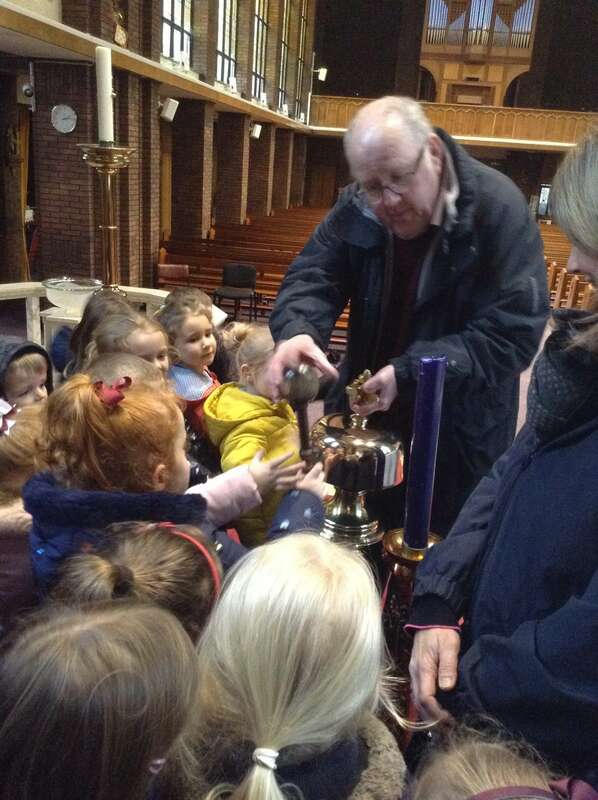 Thank you to all of the people who came along to help us on our visit. A big thank you especially to Mrs Dodds and Mr Finlay. 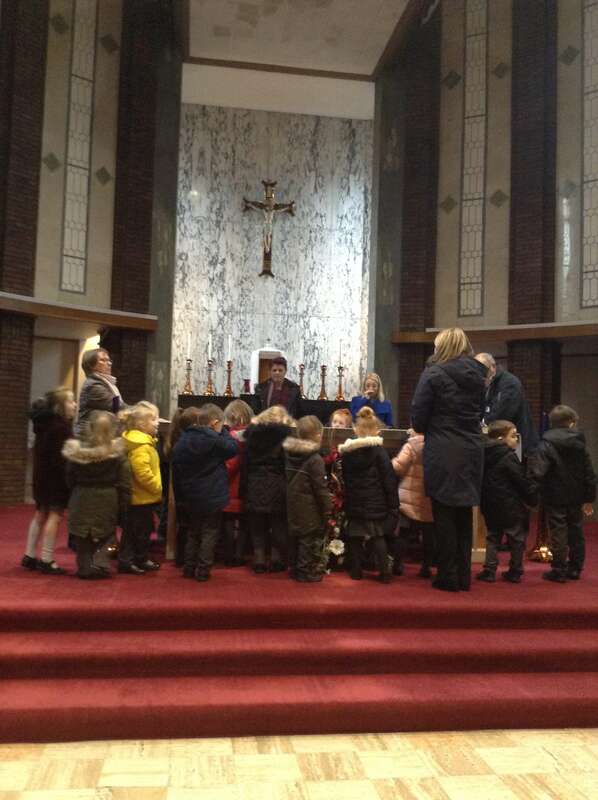 A Great Start to Reception!